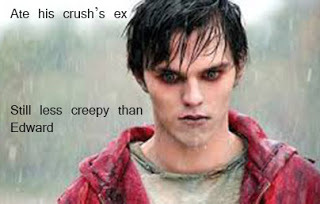 Edward VS R Meme. . Wallpaper and background images in the Warm Bodies Movie club tagged: meme edward less creepy warm bodies r movie nicholas hoult. This Warm Bodies Movie photo might contain портрет, выстрел в голову, близком расстоянии, макро, and крупным планом.